to pull his thoughts and memories together. 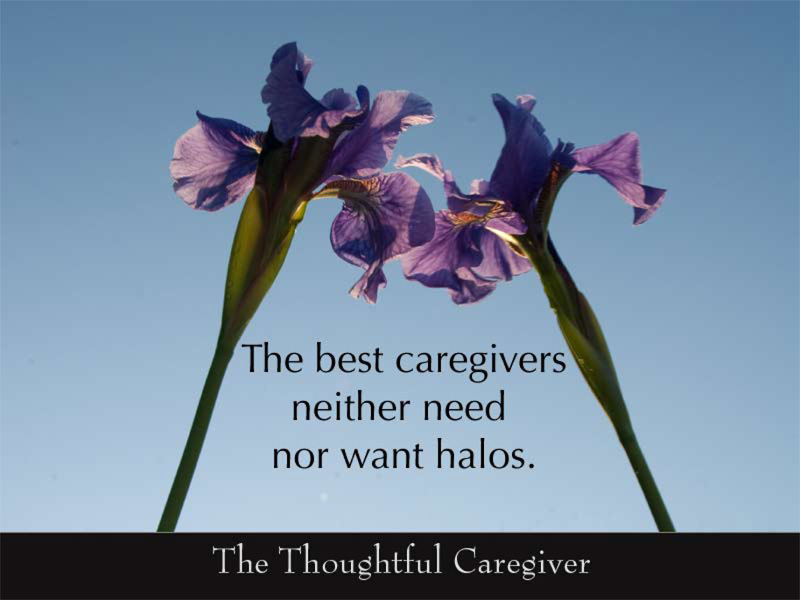 among the caregivers with whom I speak. in that way by others. Is what they do laudatory? that is life-giving, perhaps even life-saving? whatever the source of that validation. They have more important things to do. Marty is a family friend. since he had a stroke. about what those years have been like. The progressive waning of his energy. Now the awareness he could die anytime. her caregiving journey has been. all the changes she’s had to make. looked away, and then looked back. the two are best friends. Amy has not been feeling well. Lupus: a disease both progressive and irreversible. wiping the tears from her eyes. I shook my head too. Family caregiving is seldom a simple, single story. one or more children with needs no less great. each parent requiring unique, changing support. one or two generations below them. on the outside, by the world at large. 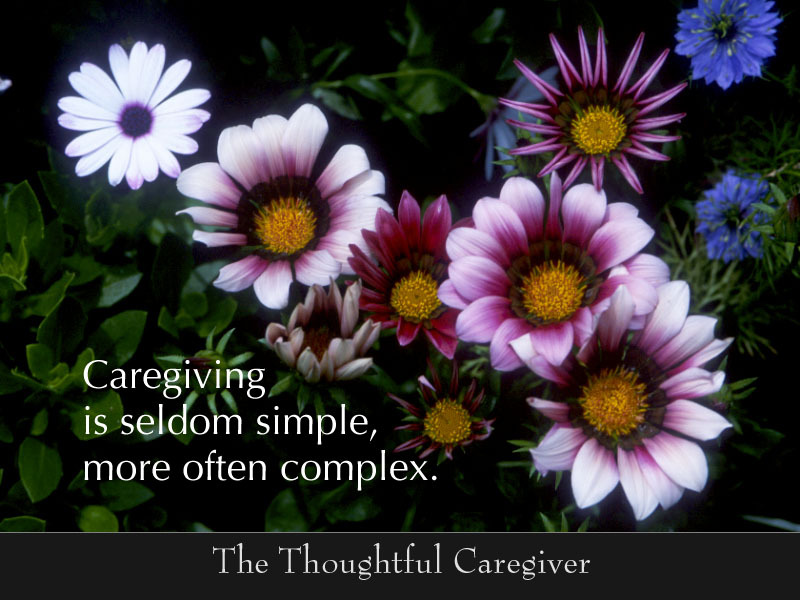 simple caregiving can be quite complex. however much we love that person. We need to run errands. We need to keep appointments. others, to show up at work. other family members to focus on. but in simply enjoying it. Working a crossword puzzle, for example. Watching a third-rate TV show. Skipping stones across a pond. Identifying the shapes in clouds. and not identifying anything at all. even from being alone for very long. since he was hurt eight years ago. I asked her how she kept going. plus have a little time to myself. has made all the difference. My spirits have really lifted. 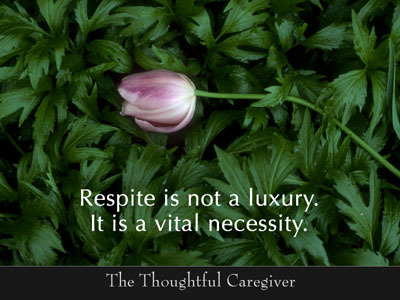 Respite has several dictionary definitions. 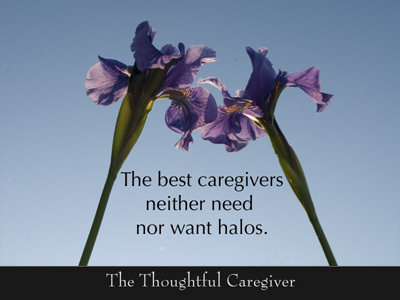 are invaluable aids to healthy caregiving. A break from caregiving refreshes. It can provide a needed perspective. and preserves one’s sense of independence. Clearly, respite is not a caregiver luxury. I have, a number of times. around-the-clock care for her husband. 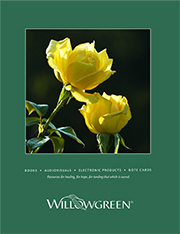 who’s debilitated by Alzheimer’s disease. Such people deserve our respect and support. 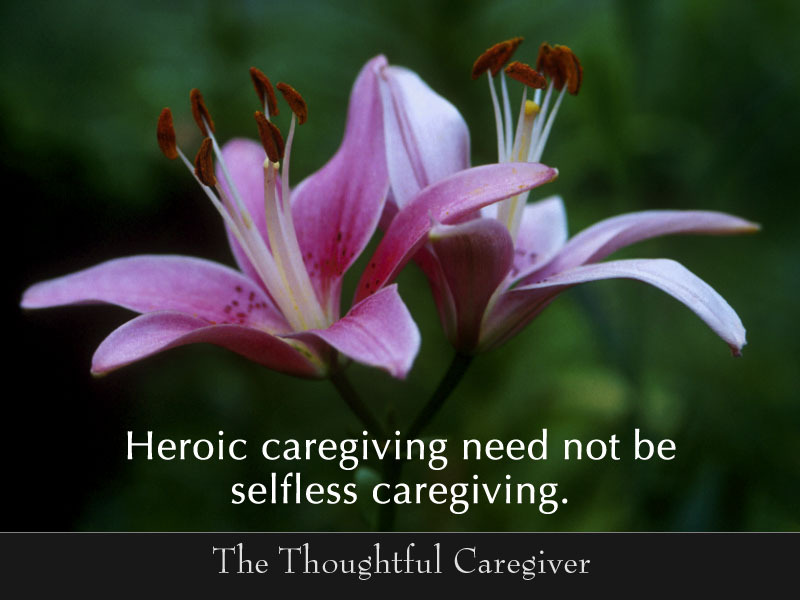 of what constitutes heroic caregiving. than for the one in their care. other roles are lovingly preserved. protecting their own wholeness and well-being. 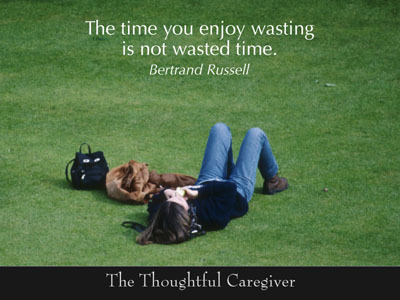 is within reach of all caregivers. for oneself as well as for others. Then in 1998 it returned. He had never been a caregiver before. in the book An Uncertain Inheritance. I learned to be both tender and strong. And when, as her condition worsened, I weakened, I also found I could recover. I now believe that a loving partner can help you find strengths within you that you didn’t know were there before. When things got really bad, Janet continued to give me trust that allowed me to help her; she even, I felt, showed me the way. 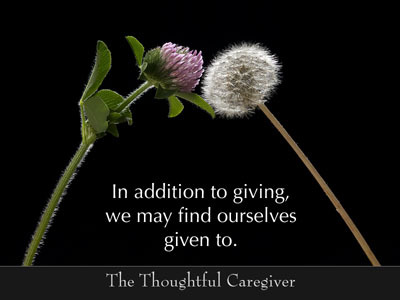 all our care partners do to help. encouraging our belief in ourselves. Their cheer may lift it. Their hope may buoy our own. or even expect it, of them. we can at least let them know. as individuals and as a group. I saw tears in people’s eyes. their work so honestly affirmed. so I cannot recreate my exact message. but mental discipline and emotional stamina. And not just occasionally but day after day. your willingness to listen well. that your work is never done. the responsibilities are much to bear. that you wish you didn’t. or be shown many signs of support. even if gratitude is in short supply. perhaps in more ways than you know. 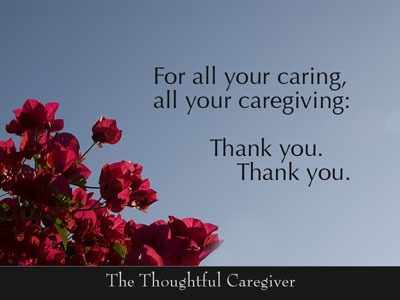 Thank you for all your caring in the past. right now, right where you are. that you can lovingly muster. Just this: thank you so very much. the difficulties and dangers of this work. The likelihood of increased stress. The low levels of self-care. First, there was the issue of expectations. the tasks associated with their caregiving. 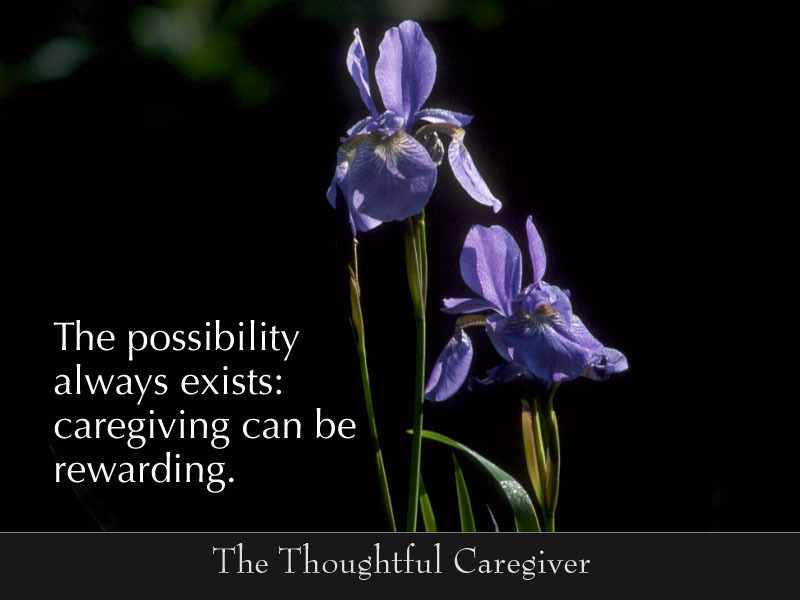 to find their caregiving rewarding. 60% said they imagined they would. How many really did find this true? The other issue related to lifestyle. 33% said they felt more focused in life. 41% said they had become more organized. 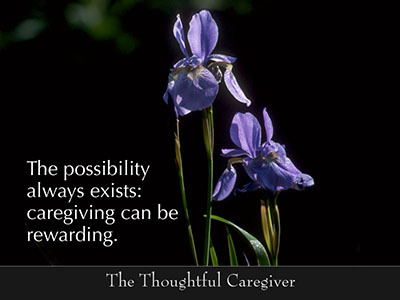 associated with becoming a caregiver. other aspects of this work too. We are not alone in our feelings.